It could have been the home shopping network. A pair of blonde ladies seated in a casual, pastel environment talking energetically on a live program about products that you, too, could own right now. They had deals on waterproof speakers, an inflatable bed, a portable charger, a remote-control system, an Amazon Echo and more. Everything was fun and wonderful and exclusive. But I wasn’t watching HSN or QVC. Instead, I’d opened Amazon.com in search of details about next week’s eagerly anticipated Amazon Prime Day (July 16), one of the biggest online shopping days of the year owned by one giant online retailer, and stumbled on the live Prime Day preview creatively called “Countdown to Prime Day.” It’s produced by Amazon and broadcast from one of its headquarters. 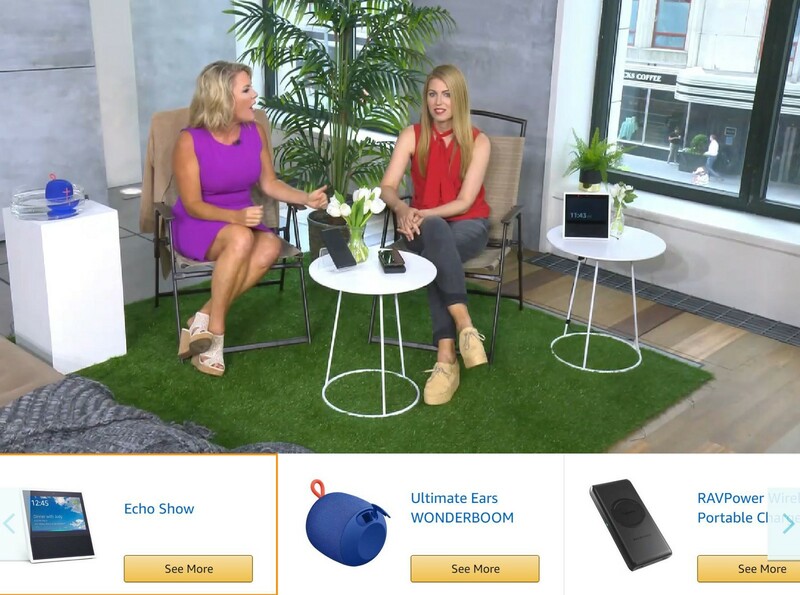 Somehow, I caught the beginning of the online broadcast where the hosts offered a pair of helpful pro-Prime Day-shopper suggestions: Use the Amazon app to sneak peek Prime Day deals and set alerts for when they do go on sale on the 16th and, if you want to know what’s going on sale, scope out the Prime Day badge on products listed on the Amazon Web site. Like QVC, but all Amazon, all the time. Here’s the thing. I’m not in the market for anything and I should not care about this huge sale. Still, I can’t deny this intense feeling of FOMO that starts days before Prime Day begins and only grows until, by July 16, I can’t resist taking a good long look at all the deals. And it’s not just me. 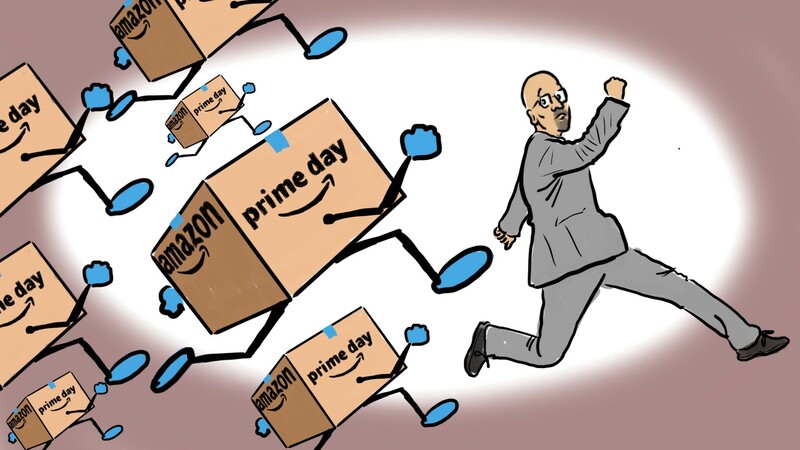 Data about last year’s Amazon Prime Day proves it is now wildly popular and quite inescapable. According to CNBC, it’s now bigger than Amazon’s Black Friday and Cyber Monday sales. Even though Black Friday retail sales in total dwarf Amazon’ Prime Day numbers, its clear that the gravitational pull of Amazon only grows stronger with each passing year. Last year’s Black Friday sales were roughly $682 billion and Amazon Prime Days were approximately $2.8 billion. However, Black Friday sales grew roughly 4% year-over-year, while Prime Day sales grew, by Amazon’s own measure, a stunning 60% from 2016 to 2017. It’s not unreasonable to assume that sales will grow by at least another 50% this year. There is no retailer who wields this kind of focus in the typically sleepy summer months. It’s like Amazon saw a dead space where other retailers were trying to excite you about Back to School deals (which, honestly, no one really wants to think about in July) and said, we can go bigger, broader, and do much better. I glanced back at the live Amazon Prime Day Countdown video and noticed a third participant, an English guy, who stood in front of an Amazon.com screen breathlessly delivering real-time inventory stats from the gadget sales driven by the live video (“We only have a dozen left!). It was so much like HSN; all that was missing were the phone numbers. If you think about it, what is Amazon, if not a home shopping network? With almost four days left before the big, now 36-hour-long, event, Amazon was priming (get it) the pump with preview sales and apparently getting some real traction, too. Obviously, it’s called Prime Day sales for a reason. You can’t get any of these deals without a $119-a-year or $12.99-a-month Prime Membership. As of April, there 100 million Prime Members and, according to one survey more than half of them made Amazon Prime Day purchases. Full disclosure, I’m a Prime Member and have been one for years. I love the free two-day shipping, like the decent, if-limited, Prime Music offerings, enjoy the video (especially The Marvelous Mrs. Maisel), occasional free books, and early access to the deals. I also had the service long before the advent of Amazon Echo devices. I’ve developed a deep and meaningful relationship with the digital voice assistant Alexa, which lives inside Echo. But I’m under no illusion about the peril that awaits Echo-owning shopaholics. Much of what you can order through Amazon.com, you can tell Alexa to order for you, too. Ah, building a shopping list with nothing but your voice and a credit card attached to your Amazon Prime account. Amazon is all about closing the retail loop so, naturally, some of the best deals on Prime Day are for their own Echo hardware. The Echo Show is already discounted to $129 (down from $229). The hosts on Amazon’s fake QVC show called it a “must have.” I don’t know about that, but I do applaud Amazon’s retail ingenuity. Along with the fake home-shopping network show, Amazon sends dozens of emails reminding people about Prime Day, prints packing tape with Prime Day promotion reminders, runs TV commercials, and online video ads. They also get a lot of help from dozens of media sites that do the legwork for bargain hunters by perusing the hundreds of Prime Deals to find the best and oddest. They also organize them into handy lists. Amazon recognized this trend a couple of years ago and started feeding them advance deal lists so they could prepare. If you’re among the rapidly shrinking majority that doesn’t have Amazon Prime, there are no deals for you. But wait, the TV hosts have more good news. There’s a 30-day free Amazon Prime trial. Essentially, you can still get all those deals without paying a dime. Until the following month arrives, and you have to decide if you want to cancel the membership before the first payment kicks in. Amazon is betting that once you’ve tasted the sweet fruit of a good deal and, guess what, your product just arrived a day earlier than you expected, you won’t be able to go back to your bland Amazon Prime-free life. 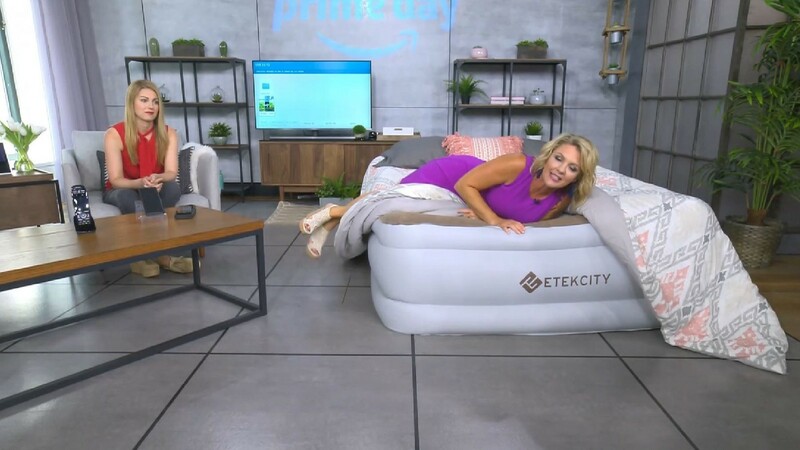 Checking back in with the Amazon ladies, I found one lying on an inflatable bed, explaining how its wonderful double-layered construction is puncture-resistant. Their banter was mesmerizing. I wondered if I needed the bed, or that speaker, or maybe the portable phone charger. I want to resist, but Amazon makes it impossible. There’s never been anything quite like Amazon in the history of retail. Amazon Prime was a smart product, content, services mashup and Prime Day is a stroke of genius that threatens to consume us all.